How to conduct research on "Non-Profits" as well as "Not-for-profits"
GUIDESTAR <http://www.guidestar.org> provides access to information covering more than 1.5 million nonprofit organizations. You can verify a nonprofit's legitimacy, learn whether a contribution will be tax deductible, view a nonprofit's recent Forms 990 (filed with the Internal Revenue Service), or find out more about a nonprofit's mission, programs, and finances. You must create a free personal registration entry & username, before you can actually use the underlying services. Additional levels of service are available for additional fees or paid subscriptions. You can decline to be placed on any mailing lists. If you enroll in the mailing list, you will typically receive just one email per month. 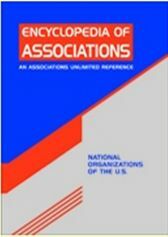 Encyclopedia of Associations (database requires WU login): this database is also known as "Associations Unlimited"
Technically speaking, the Encyclopedia of Associations is primarily a directory of ASSOCIATIONS, many of which are organized either as "non-profit", or "not-for-prot", and there are some organizations in this resource that operate on a "for-profit" basis. This online resource also includes coverage of trade associations, professional societies, hobby enthusiast groups, as well as charitable organizations, social action organizations, "think tanks", and selected coverage of foundations. If you can name it, then chances are rather good that this directory will list either a fan club, professional society, or a trade association that focuses energy on promoting that thing. Entries range from the American Marketing Association, to 3 different Elvis Presley fan clubs, to the Zero Waste Alliance. Each organization that is identified is asked to provide a wealth of information including: field of membership; annual budget; scope of operations; recurring conferences; standard publications; local or regional chapters; topical subdivisions; size of full time staff; contact info and URL of their main website. Although the primary focus is on US based organizations, this resource offers cross-references to the International version of this resource, but the details of those overseas organizations are only found by using that other option. 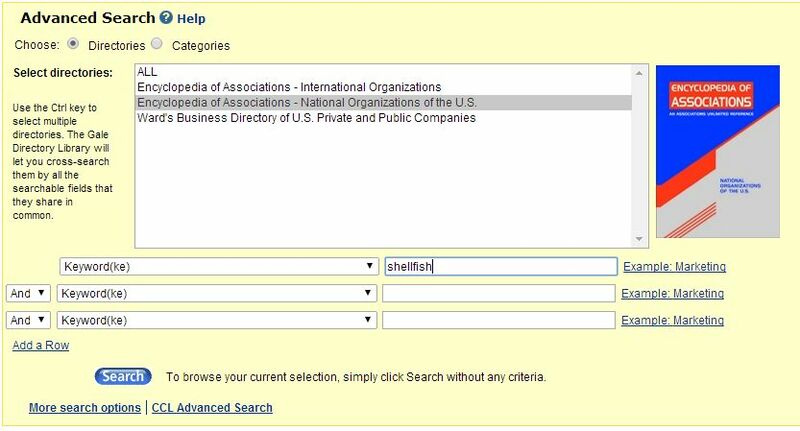 Since the publisher of this unique directory clusters the online access with other resources, you must first select which resource you want to search, and then enter your keyword(s) in the right hand column of boxes. Generally, you want to choose the NATIONAL edition, covering the United States. From this brief listing, you can click on each organization's title to get the complete details about each underlying group. If you do not find anything relevant, then you ought to modify your search strategy to a broader group of synonyms, which you can string together with the Boolean "OR" command. In this instance, if you were hoping to see more types of organizations for specific types of shellfish, you can try looking for SHRIMP OR SCALOPPS OR CLAMS OR OYSTERS OR LOBSTER OR CRAB OR SEAFOOD. And you can always turn to a reference librarian for additional help!